From April 11, 2016 to July 10, 2016, you can earn 4% money back in your chosen categories, instead of your usual 2% Money-Back Rewards when using Tangerine Money-Back MasterCard. This offer is targeted to those who got this card before Mar 28, 2016. * This Promotion is available only to Tangerine Money-Back Credit Card Accountholders in Good Standing who applied for the Credit Card on or before 11:59 pm ET on March 28, 2016. During the Promotion, your 2% Money-Back Categories will earn 4% money back beginning at 12:01 am ET on April 11, 2016 and ending at 11:59 pm ET on July 10, 2016. You must activate your Card in order to receive the Promotional rate during this period. The Promotional rate of 4% money back does not apply to Cash Advances or Balance Transfers. If you change your 2% Money-Back Categories at any time while this Promotion is in effect, the 4% Promotional rate will be transferred automatically to the new categories. 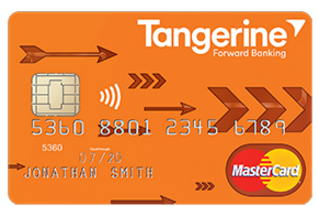 All other Terms and Conditions for the Tangerine Money-Back Credit Card and the Money-Back Rewards program remain unchanged. Tangerine reserves the right to cancel the Promotion or change the terms of this Promotion at any time and for any reason, without notice to you. In keeping with the general Terms and Conditions of the Money-Back Rewards program, Accounts must be in Good Standing in order to receive Money-Back Rewards..